The Isle of Man, a Celtic island nestled in the Irish Sea, might be the first place in the world to establish a 5G phone network. The island, which is home to around 81,000 people, plans to start testing the next generation mobile technology in 2016, International Business Times reports. The self-governing British Crown dependency is the ideal place to lead a 5G charge for many reasons. The island already has a good telecoms infrastructure in place and the network would be further supported by next year’s opening of the International Centre for Technology, a university backed by the Manx Educational Foundation (MEF), HP, and Huawei. Huawei’s CEO Ken Hu suggests 5G will be up to 100 times faster than 4G, the speediest network available at the moment. “With the 40-acre site, a body of innovative students looking at the potential of mobile, fairly open spectrum that the local regulator would actively encourage to be used for testing, and the involvement of Huawei, we do hope that we can create something of the Perfect Storm,” MEF co-founder Kurt Roosen told the IBTimes. 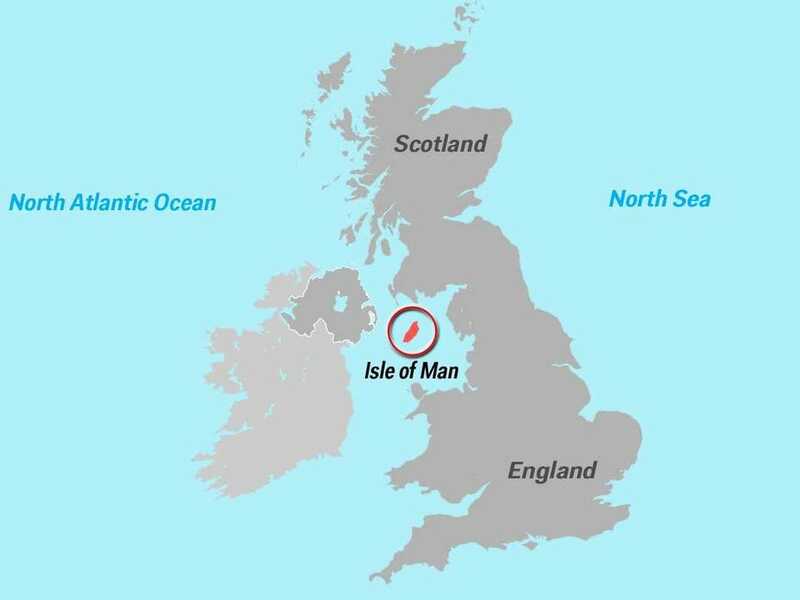 Dina Spector/Business Insider/WikipediaThe Isle of Man is sandwiched between the islands of Great Britain and Ireland. The Isle of Man’s Department of Economic Development is also fully backing the initiative and claims testing is on schedule. Remarkably, if the scheme goes ahead it means the Isle of Man would see 5G available years before the city of London. Mayor Boris Johnson has said in the past that the data network will arrive in England’s capital by 2020. The island was already used as a 3G testing zone by Spanish wireless carrier O2, and was the second nation to go live with it.